With so many Shih Tzu brushes on the market today, how do you decide which ones work best, which ones to use and where, and how much you should spend on your grooming supplies. This is part two of a three part series on Shih Tzu Grooming Supplies. If you haven't read Part One, I suggest you start there. You will find that you spend plenty of time on combing and brushing your ShihTzu, even if you keep the coat in a short puppy cut. It pays to have the best tools you can afford, but at the same time, if your Tzu is a pet and not a show dog, you don't need to shell out thousands of dollars for useless items. So it pays to find tools that feel good in your hands, but also does a satisfactory job on your Shih Tzu's coat. 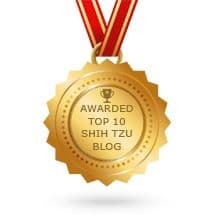 That is the main purpose of this article on Shih Tzu Brushes. I've been grooming my own dogs for years, mainly to save money, but also because I enjoy doing it and it is yet another way to deepen the bond between me and my dogs. There are many different kinds of Shih Tzu brushes to choose from, but you will probably want to eventually have several to complete your Shih Tzu Grooming Supplies kit. Choosing the perfect brush or brushes is not easy, especially because there are so many options on the market. Before I go further, let it be known that I am not a professional groomer, though I do have a certificate from a grooming school, I predominately groom only my own dogs and occasionally I will groom a dog or two in my neighborhood. After years of grooming my own dogs and those of close friends, I have discovered that not all Shih Tzu brushes are the same. I would pick up brushes from dog supply stores, even flea markets, but overtime I realized I was wasting my money. Why? The brushes looked good on the shelf, looked professional in the packaging, but when I got them home and used them...well, their fancy packaging just didn't match their quality. The products I list below can be purchased from Amazon and I either currently use them or have used them in the past. You can purchase these products elsewhere, but if you are also looking for the best prices on Shih Tzu brushes, Amazon can't be beat. 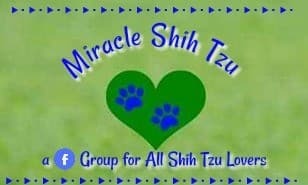 Most are adequate for my needs, but please remember that each Shih Tzu is different, and what works for some may not work for you. Adult Shih Tzu dogs normally have a thick coat whether you trim it down to a puppy cut or keep it long. The right brushes and combs will keep the coat tangle free, soft and looking its best. Puppies can use adult products or you can purchase a comb and brush specifically for the puppy coat. Once the puppy has reached maturity, their combs and brushes can still be used on the the mustache and beard. It's fun to purchase puppy size brushes and combs and those purchased can still be used on the dog for months to come. 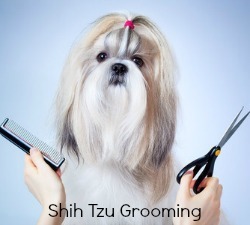 You can find pin brushes, slicker brushes, bristle brushes, and even pint sized combs for your Shih Tzu puppy. Any of the Lil Pals™products works well on puppies. In fact, I use them during their first grooming experiences here at Miracle Shih Tzu. They are the perfect size for puppies up to about six months old. The Slicker brush is good for smoothing the coat and making it very fluffy. You can brush both with the grain of the hair and against, giving the coat a very thick appearance. Puppies normally have few if any mats but if they do, the mats melt away with a slicker brush. A natural or synthetic bristle brush works great on puppies who have short hair. They can be used on adults but they don’t go through the coat well and should just be used for smoothing out the top layer. Our puppies are started on grooming soon after their eyes and ears are opened. I use a soft puppy brush to brush around the eyes, ears and mouth of young puppies. Soft brushes are soothing and they train the puppy to tolerate and hopefully love being groomed. I recommend this one because it is safe around the eyes, mustache and beard. The Pin brush is the most versatile brush for this breed of dog. These small puppy pin brushes are soft and comfortable and get the puppy accustomed to being brushed. The puppy version of the pin brush will work until the adult coat grows in at about 10 months old. Once your Tzu has his adult double-coat, you will need a larger brush to get through the layers. This Lil Pal Product is double sided -- two brushes for the price of one! Use the pin brush first to brush the hair and then the bristle side to smooth and make it shine. Get your puppy ready for grooming with the bristle brush around his face, ears and paws. Puppies should get used to having their hair combed. Brush the hair first and then use the comb to remove any small tangles. Always try to detangle first with your fingers if possible. If you get into the habit of yanking mats out with a comb, you are not going to have a happy puppy and grooming sessions get harder over time. Combs can be used to gently pull apart mats and then remove. Combs are also good for remove gunk around the eyes and whiskers. Puppy combs are also useful on adult dogs to keep their faces clean. It works as well as a facial finishing comb or a flea comb for that purpose. You may not need a detangling comb until your puppy gets a little older, but this one will also work on adult coats. 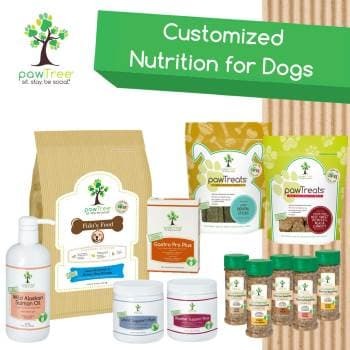 Want to know what's great about these puppy tools? They are both inexpensive and very sturdy. I've never had any of them break on me! The same type of brushes and combs used on puppies are also available for adults, except the brushes get bigger. There is a wide variety in quality so if you are looking for a brush that will do an excellent job and last a long time, try the Chris Christensen line. There is a big reason why show dog owners use these brushes. They are the best, but you don't have to show your dog to get the same glamorous looks. This is a must have in your Shih Tzu Brushes Grooming Supplies Toolbox. These Shih Tzu brushes have metal pins with slightly rounded ends to prevent them from being too sharp. 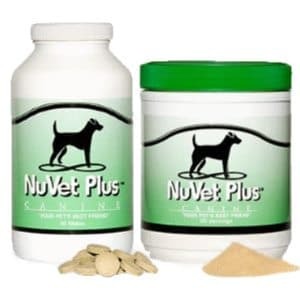 They are good for brushing out small tangles and can go through both the top and under coat. Some pin brushes come with a flip side bristle brush which is a plus if you like the feel of a bristle brush. This is a must have if you own a Shih Tzu. Don't try your own pin brush on your Tzu, though, because you will be disappointed. Human pin brushes have little tips at the ends that won't go through the Shih Tzu's double coat. These brushes come in a variety of shapes including Oval or Oblong, and with different length pins. Choose one with shorter pins (20 mm) if your Shih Tzu's coat will remain short, but go for the longer (27 mm) if you want his coat to grow out. These Shih Tzu brushes have little metal bristles without the rounded ends making them perfect for brushing your Tzu’s undercoat. Since these pins are very sharp, you shouldn’t use them around the dog’s eyes. It’s better to use the metal or steel comb on the mustache and beard or use a natural bristle brush that won't accidently hurt the eyes. This triangular brush is a bit more expensive, but if you have a Shih Tzu with a very thick coat, this might be a perfect brush for you. The triangular shape gets in those hard to reach areas that tend to mat such as behind the ears and in those sensitive areas just under the legs (arm pits). They are perfect for getting rid of mats in these areas. Be very careful if you decide to use this brush on the face. If you want your Shih Tzu to look his best, you may want to invest in a boar bristle brush. This is one of my favorites. It will not remove tangles or mats, but feels good to the dog and stimulates the scalp to release the natural oils. The coat looks great after a once over with this brush. This brush is very popular in Europe. Those are the three most common dog brushes used on the Shih Tzu breed with the pin brush being the most popular but the slicker a must have for removing mats and making the coat shine. Cost of Shih Tzu Brushes? People always ask me why I don't purchase the less expensive brushes. Truthfully, when I first started out, I never spent much on brushes. I kept telling myself that a brush is a brush is a brush. I learned fairly quickly that there are major differences in brushes. The cheaper brushes I purchases lost their pins or the pins bent. The pins on the slicker brushes dug into the dog's skin and the dog no longer wanted to be brushed. All the hard work that I had put into creating a relaxing grooming experience for my dogs, just vanished when I used brushes they didn't like. I found myself throwing away brush after brush. Long story short. You get what you pay for and I'm sold on this line of brushes, but don't take my word for it. Read the Amazon reviews before placing an order. The steel comb is used after you have thoroughly brushed out the coat. You can go over the entire body and face with comb to remove any last tangles or mats. Any small mats that remain can be loosened with a steel comb or worked out with the end of the comb, making it one of the best de-tangling tools. You can also use a comb on the face and to make a part down the back of the Tzu, although a comb with a rat tail works better for making a part down the center of the back. Some people prefer to comb rather than brush the hair. Steel combs or greyhound combs as they are often called come in a variety of sizes from very fine toothed combs to wide toothed combs. Many combs will have a choice fine/coarse, medium/coarse and face/finishing styles. For more information on brushing and combing, click here to read our pages on grooming and mat removal. Extra fine combs (face/finishing combs) work well on the face, but another option is to use a flea comb. Flea Combs have very fine teeth and can be used to spot a flea or remove dried debris from the eyes. Even if your Shih Tzu does not have fleas, I recommend getting a flea comb, just to use on the face to remove debris under the eyes, in the whiskers, and on the beard. If your Tzu is like mine, they often enjoy "Wearing" their food, so you need something to get out all of those crumbs. The rattail comb is used for parting the hair. If you keep your dog in a short puppy cut with no topknot, this comb won't be necessary. While you can use the side of a regular steel comb for parting, a rat tail comb works much better. These combs are used to make a part down the back of a long haired Shih Tzu. They are also used to partition off the hair when making a topknot. This comb is recommended if you'd like to grow your Shih Tzu's hair out and pin up the top hairs into a ponytail or topknot.